A man with a seeming death wish has miraculously survived an attack by a 400-pound Siberian tiger. New York City Police officials identified the victim as David Villalobos of Mahopac. The 25-year-old Mahopac High School graduate jumped from the Wild… Please login below or purchase a subscription to the Putnam County Courier to access this content. Sheriff Don Smith makes his points during last week’s meetings with staff members Gerald Schramek, William McNamara and William Sayegh looking on. 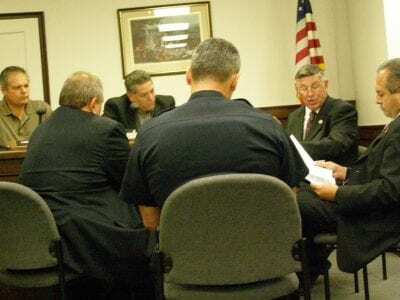 A meeting of the Legislature’s Protective Services Committee resembled a heavyweight champi… Please login below or purchase a subscription to the Putnam County Courier to access this content. Billy Mascio explains how he felt when realizing he won $1 million in the Powerball Lottery game. 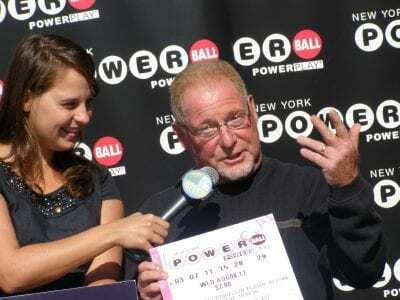 Billy Mascio won $1 million in the Powerball Lottery game and after purchasing a new SUV for his wife, the Mahopac resident purchased himself a weed-wac… Please login below or purchase a subscription to the Putnam County Courier to access this content. An abandoned cat found near death outside Heidi’s Motel on Route 22 in Southeast Monday is being investigated by the Putnam SPCA as a case of animal cruelty. SPCA Chief Ken Ross said his office received a call from Brewster State Police around… Please login below or purchase a subscription to the Putnam County Courier to access this content. August sales tax revenue has taken a dive yet county officials don’t appear to be concerned. Putnam lawmakers received the unsettling economic news Monday evening when Commissioner of Finance William Carlin reported August sales tax receipts a… Please login below or purchase a subscription to the Putnam County Courier to access this content. Thousands are expected in Mahopac Sunday when the Italian-American Club of Mahopac and the Mahopac Chamber of Commerce host their annual Columbus Day Parade and Street Fair. From 11 a.m. to 6 p.m. merchants will display their wares in the downtown b… Please login below or purchase a subscription to the Putnam County Courier to access this content. Preparations are speeding ahead for the first annual Putnam Cycling Classic to be held on October 14 throughout the county, with a briefing given to local officials where the race will start and end this Tuesday evening. The event is one of the bigg… Please login below or purchase a subscription to the Putnam County Courier to access this content. Photo courtesy of United Way (left to right) Naomi Adler, President and CEO of United Way of Westchester and Putnam, welcomed Libby Pataki, Director of Tourism in Putnam County and former First Lady of New York; Robert A. Cinque, Esq. 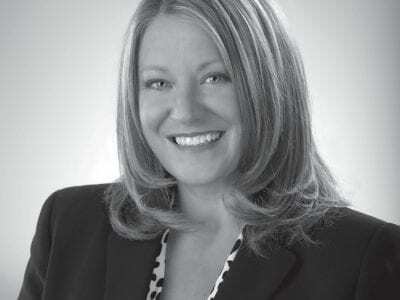 ; and MaryEllen … Please login below or purchase a subscription to the Putnam County Courier to access this content. Will The New Tappan Zee Bridge Bring Economic Improvement? On September 25, the Environmental Impact Study for the new Tappan Zee Bridge was approved, meaning that construction can get underway as soon as a contract is awarded. This significant milestone means that both the physical and economic lands… Please login below or purchase a subscription to the Putnam County Courier to access this content.